Note: The views expressed in this post are based solely on my own authentic experiences. I have never received nor been offered any benefit, perk or discount from a hotel chain in exchange for a positive review. I'm not the fly-by-the-seat-of-my-pants kind of traveler. Any hotel that I have booked in the last five years, whether it be for a one-night stopover or a week-long stay has been the product of significant research and planning. I can think of only one instance where this has steered me wrong. It was for a one night stay in Geneva, New York a couple of years ago. According to TripAdvisor the hotel I booked was ranked #1 of 9 properties in the town, so how could I go wrong, right? It ended up being one of the worst accommodations I had ever paid for. Since my stay the hotel has dropped to #6 of 9 in Geneva. I think I'll give myself and TripAdvisor a mulligan on that one. Maybe there was a change in ownership, or maybe the competition in the small Finger Lakes town just wasn't up to snuff at the time. There are few constants in the world of successful trip planning. TripAdvisor's review aggregate is (almost always) one of them. Another is that you will be hard pressed to go wrong with a Hilton brand hotel. While the classic "Hilton" line of hotels are usually on the higher end of the price spectrum, there is a new entry in the brand lineup that simply cannot be beat for quality and value. Homewood Suites. Sort of an American/continental hybrid, but always fresh and delicious. Free "light dinner" and beer/wine from 5-7pm Monday to Thursday. This requires no further explanation. Those hoighty downtown hotels wish they offered easy, free, valet-less, on-site parking. Save some money and make your own meals with a kitchenette and separate living quarters in every room. This seems like it should be standard everywhere, but sadly it's not. Bus service to transit hubs often included. Many Homewood Suites have been newly constructed. A little touch of modern to your stay. Going with a big group and want more beds and washrooms, but are good with a single communal kitchen and living area? Two-bedroom suites are an incredibly cost-efficient option. A fresh copy of USA Today waiting outside your door. Don't expect a party, but solid selection, reasonable prices and daily specials will be found. 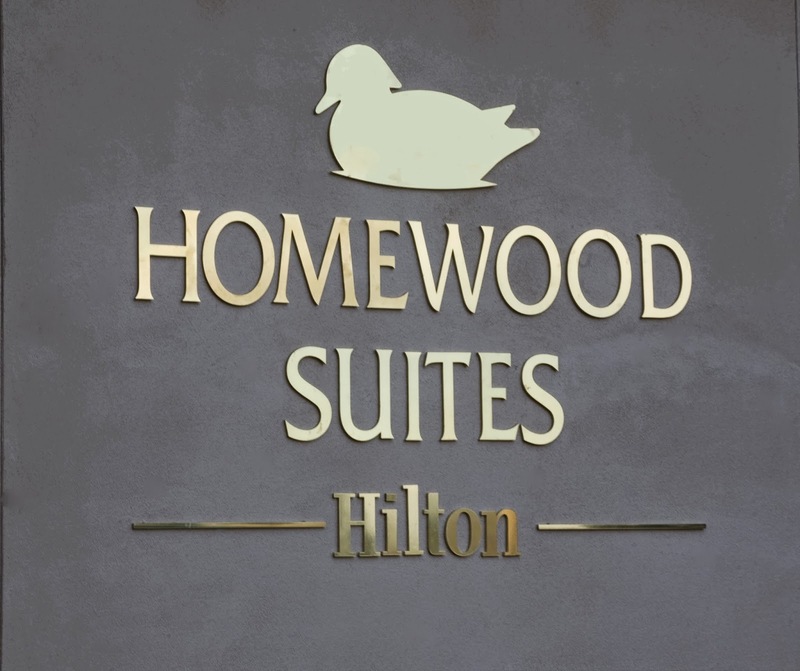 Have any questions about Homewood Suites? Have your own personal favorite chain? Love to hear from you in the comments.